Boom goes the dynamite: OWCP 1700% Winner from the 32Trades.com alert last week Monday @ .0037. APYP another, up 270% from the members only alert last week. OWCP is now a 7 Bagger since the 32Trades members were alerted on it Monday, Sept 26 @ .0037: 710%. NEXS, fka PTEA, is up over 240% and VNTH was alerted in the chat room today at 0.0002: 200%. 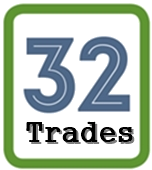 OWCP posted gains of up to 500% from the 32Trades member alerts last week Monday, but today was all about Marijuana. Virtually every single MJ ticker ran which makes for a very interesting start to October.